Work healthier with the Pro Plus 48. Spending countless hours sitting in front of a computer every day is bad for your body. Not only do you have to worry about bad posture when sitting for extended periods, but also the fact that you’re probably going to die faster (according to some studies). A standing desk is a great way to alleviate some of these problems and keep your body active during a long day in the office. And with the Varidesk Pro Plus 48, you can turn almost any standard desk into a height-adjustable standing desk in a snap. 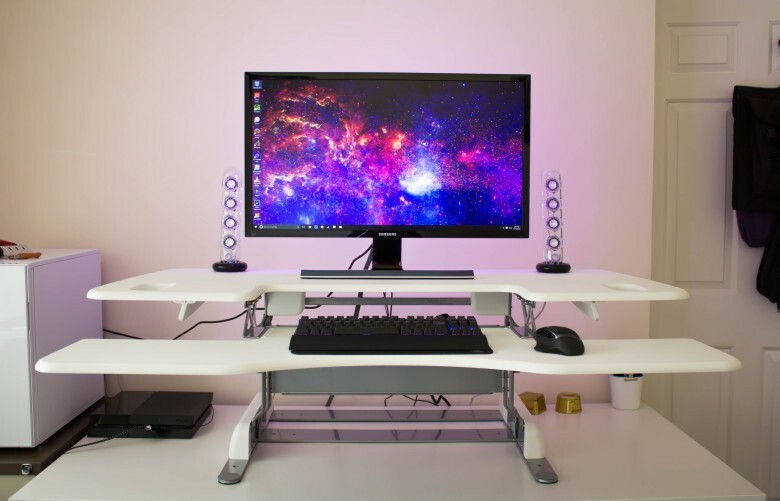 This particular desk is one of the largest models offered by Varidesk, which makes it ideal for multi-monitor setups and those who need plenty of room. It’s also pretty pricey at $495 — but is it worth that price tag? 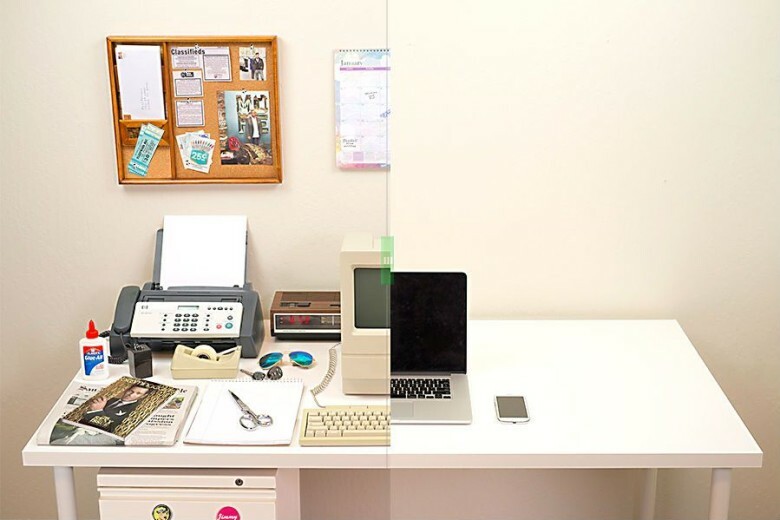 Remember your desk from the ’80s? If you were even alive back then it probably featured an old Macintosh surrounded by a disgusting mess of books, letters, a telephone, a fax machine and probably even a Rolodex. 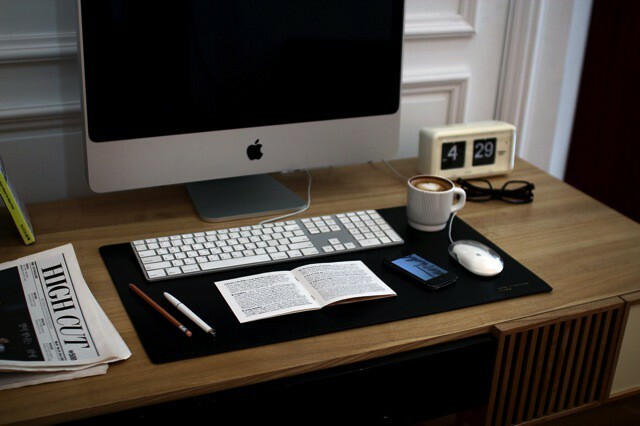 But thanks to the rapid pace of technology, you’d be hard-pressed to find any of those items on the modern college student’s desk. 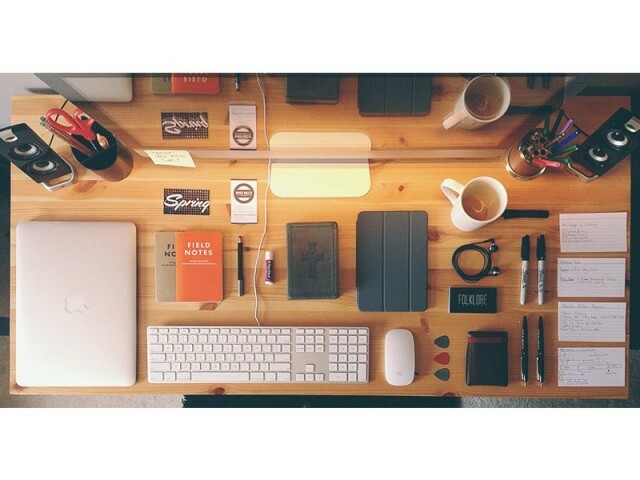 This picture comes via Mac Desks (and Dribbble), a blog showing – that’s right – photos of desks that have Macs on them. And some of them are gorgeous. Of course, reality often doesn’t match up to such fantasies. My current desk cost me around €30 in the local flea market, comes from the GDR and is awesome. But it’s not a great desk for piling up with tech, thanks to a complete lack of charger cubbyholes and cable wranglers. 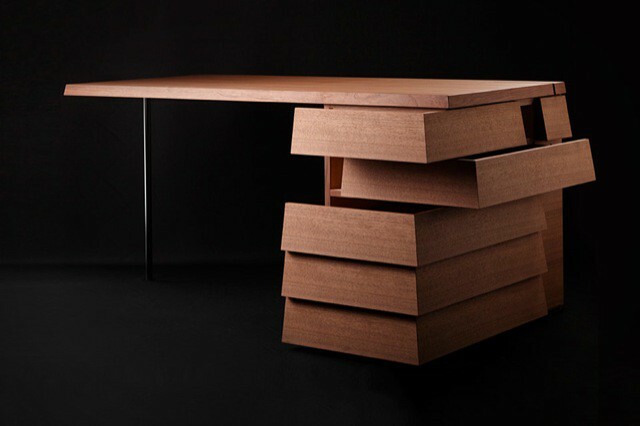 If you put my desk at one end of the tech-configurability spectrum, and a neat, modern desk on the middle, then the Bee9 Tablet Desk 2.0 would be way off at the other end of the scale. According to all the fashionable studies these days, sitting is about as dangerous as balancing a TV set on the edge of the bathtub while you have a soak, sip a martini and smoke a fat Havana all at the same time. I avoid this deathtrap by doing my work as fast as possible and then going back to bed after a couple of hours spent in the danger zone, but apparently standing desks are another good solution. 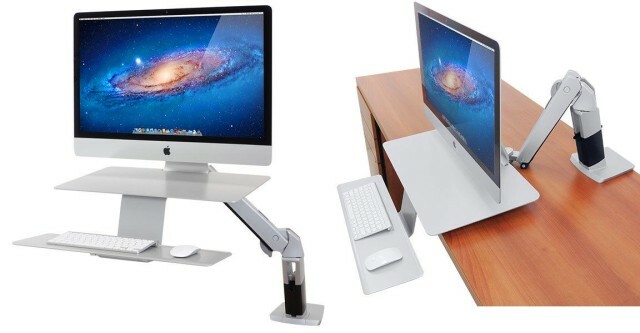 And if you own a Mac, then you’ll want a standing desk designed to work with it, like the new WorkFit for Apple range from Ergotron. According to Derek “beefcake with a brain” Morgan from Criminal Minds, “sitting is the new smoking,” and too much of it will kill you. But who wants any boring old standing desk? 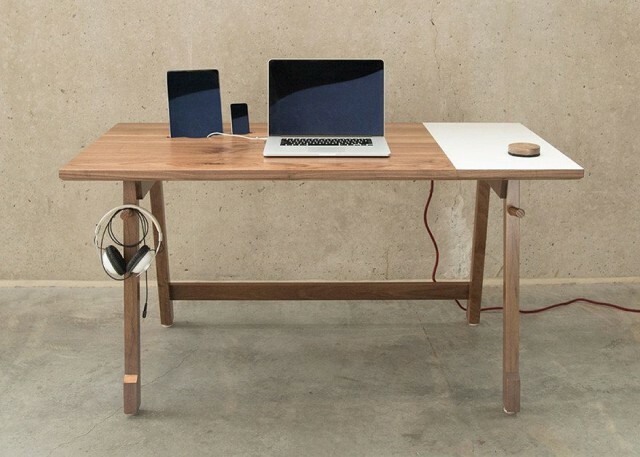 Yes, you could put a couple of milk crates onto your regular desk and prop your MacBook on top, but why do that when you can spend $3,900 on the Stir Kinetic Desk, a standing desk with a touch screen? If there’s one thing in your office that is likely immune to spills and dirt its the surface of your desk. 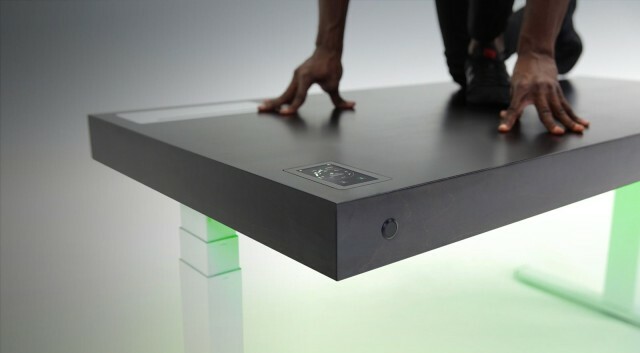 Likely made from foil-covered MDF, or – if you’re fancy – from polished hardwood or glass or steel, the tough worktop will shrug of stains and liquids without even noticing them. 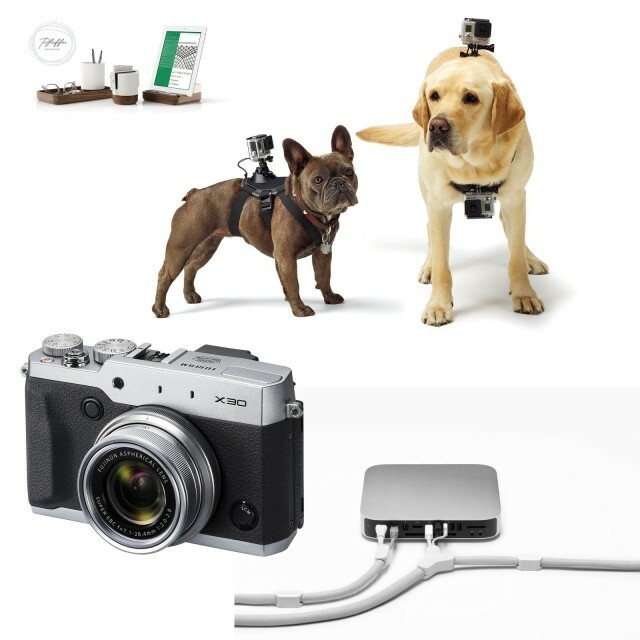 But if your “workstation” consists of a couple of upturned cardboard boxes, then Satechi’s waterproof faux-leather Desk Mat & Mate may be for you.